Due to the lack of demand the PCOE E2E Customer Integration Check has been removed from the PBC. This will have no negative impact on the partners and their preparation for audit since all deliverables of the service are covered by the existing SAP Solution Manager and PCOE Status Services. In addition, we enhanced the existing PCOE Status Service by including a validation of partner incidents before audit. It will raise a flag upfront to the partner if incidents are sent directly to the SAP Support, a clear audit failure criteria. DACH partners ITSDONE Holding GmbH, Netconomy, and scc EDV-Beratung Aktiengesellschaft, all successfully went through their recent PCOE audits. The difference this time was that all audits were conducted onsite by PCA Stephan Hegemann. The partners saw great value in holding the audits onsite. According to partner feedback, the personal contact improved communication during the audit process, as well as enabled them to share direct insights into their daily operations, their support team, and infrastructure– all leading to a better understanding and collaboration between partner and auditor. In addition, we got the opportunity to learn and see how partners prepare for their audits and identify gaps that could be covered with new PSD services. 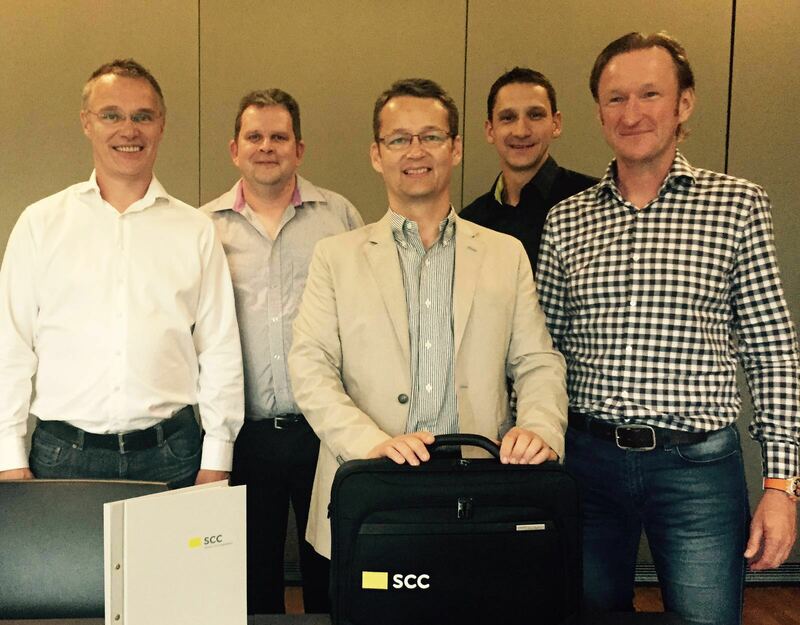 Particularly interesting was the process scc EDV-Beratung Aktiengesellschaft has implemented to manage their PCOE project: the partner is using SAP Solution Manager documentation functionalities to track action items, project progress, as well as share documentations within the project team. This content again is accessible to the auditor during audit via the partner SAP Solution Manager. Having made that personal connection with the partner during the audit, we are now in a position to closely collaborate and further explore this process with SCC building new enablement services that will share this best practice with other PCOE partners.Onsite audits are currently not officially part of the PBC. We are investigating into establishing a PCOE Value Added Service with Onsite Audits through the Partner Benefit Catalogue for 2017. As previously communicated, all PCOE audits will be completed by December 11, 2016 to allow time for follow up and judging activities. Judging will only be available until December 19, 2016 and shall resume from January 09, 2017. PCOE Pre-Audit service delivery and PCOE Inbox service will be available until cw 50 with limited delivery capacity in cw 51. There will be no service delivery between December 23, 2016 to January 2, 2017.
how can I be added to this group in JAM? I would like to participate on this community.